Marketing your business should be fun, challenging, inspiring and most of all fruitful! What it's like working with me.... in just 3 little words! A much needed kick up the jacksee! Let's work together to make your business more fruitful! Work with me to make your business more successful, get and keep more customers, and make more profit. 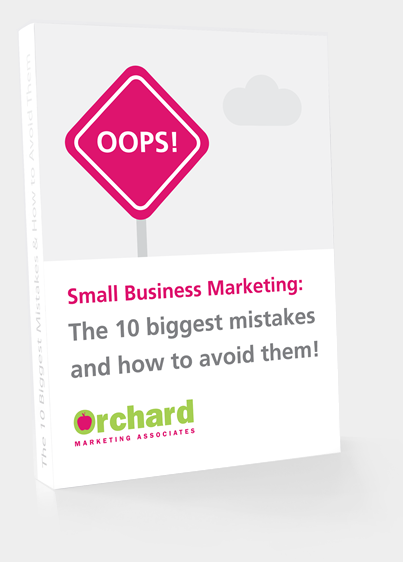 FREE EBOOK - Find out how to avoid the 10 biggest small business marketing mistakes! Book me to speak at your next networking event, workshop or conference. Isn’t it time we talked about your potential? I’d love to hear from you and chat about what your business could achieve. If you are ambitious and prepared to give your business some marketing love, and you like the sound of me – drop me a message to book a 20 minute get to know each other call.